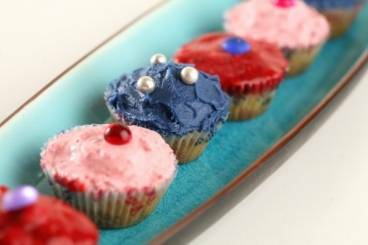 A cupcake or fairy cake is a small cake designed to serve one person. They come in a fantastic variety of flavours and can have a wide range of toppings. Here, we showcase our favourite vanilla based cupcakes for you to try at home. Cupcakes are ideal for special occasions such as birthday, weddings or christenings or just as an attractive sweet treat. Surprisingly easy to make, let your creative juices flow and add your own touch to these highly adaptable recipes. Cupcakes delicately scented with vanilla and topped with coloured icing - a real feel-good treat! Our easy recipe for vanilla cupcakes. Top with your favourite flavoured icing and decorations. 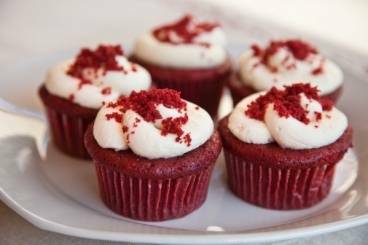 A light red velvet sponge cupcake with vanilla and lemon frosting. 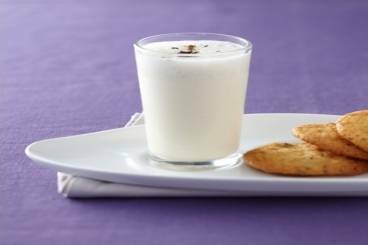 A buttery vanilla scented shortbread, perfect for after dinner coffees or to add a crunch to a creamy dessert. An Italian set cream dessert made with vanilla and served with a spiced plum compote and crisp almond tuiles. A creamy Italian dessert flavoured with vanilla and served with a raspberry and green cardamom drizzle.